We have just competed a series of updates to the LFE website. 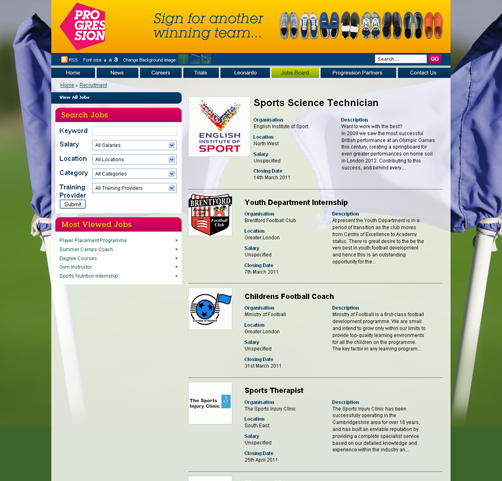 LFE can now publish the Academy and Youth Alliance League and leading goal scorers tables on the website. We have also been busy building a bespoke job application system to allow LFE staff to manage applications and post new job opportunities on the site, as well as allowing applicants to post their CV’s and apply for jobs directly.